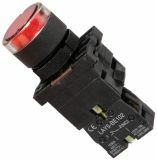 Stop button BR42, 400VAC, 10A, SPST-NC, Telstar Stop button with normal close contact system NC. Panel Mount Switch, button, ф22mm, 10A/240VAC, 2-position, SPST Push button switch LAY5-EW3472 red, with rated voltage 240 VAC / 10 A and contact system SPST NC. List Price 3.60лв. VAT Incl. 3.42лв. VAT Incl. 3.24лв. VAT Incl. 3.06лв. VAT Incl. 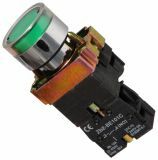 Panel Mount Switch, ф22mm, 10A/240VAC, 2-position, SPST Push button switch LAY5-EW3371 green, with rated voltage 240 VAC and contact system SPST NO. List Price 3.60лв. VAT Incl. 3.42лв. VAT Incl. 3.50лв. VAT Incl. 3.06лв. VAT Incl. 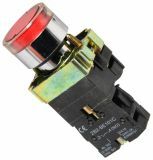 Panel Mount Switch, button, ф22mm, 10A/240VAC, 2-position, SPST Push button switch LAY5-EW3471, red with rated voltage 240 VAC / 10 A and contact system SPST NO. Price 3.85лв. VAT Incl. 3.65лв. VAT Incl. 3.47лв. VAT Incl. 3.27лв. VAT Incl. List Price 5.50лв. VAT Incl. 5.22лв. VAT Incl. 4.95лв. VAT Incl. 4.67лв. VAT Incl. 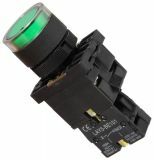 Panel Mount Switch, button, ф22mm, 10A/240VAC, 2-position, SPST Push button switch LAY5-BW3371 green, with rated voltage 240 VAC / 10 A and contact system SPST - NO. Panel Mount Switch, double, ф22mm, 10A/240VAC, 2-position, SPST Push button switch LAY5-EW3472 red, with rated voltage 240 VAC / 10 A and contact system SPST NC. List Price 7.90лв. VAT Incl. 7.50лв. VAT Incl. 7.11лв. VAT Incl. 6.71лв. VAT Incl. 6.32лв. VAT Incl. 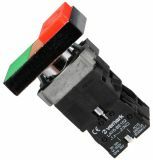 Panel Mount Switch, rotary, ф22mm, 10A/240VAC, 2-position, SPST Push button switch LAY5-BD21 black, with rated voltage 240 VAC and contact system SPST NO. Price 3.43лв. VAT Incl. 3.26лв. VAT Incl. 3.09лв. VAT Incl. 2.91лв. VAT Incl. 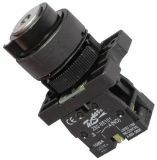 Panel Mount Switch, rotary, ф22mm, 10A/240VAC, 3-position, SPST Rotary button switch LAY5-BD33 black, with rated voltage 240 VAC / 10 A and contact system SPST NO+NO. Price 3.43лв. VAT Incl. 3.26лв. VAT Incl. 3.09лв. VAT Incl. 2.91лв. VAT Incl. 2.74лв. VAT Incl. List Price 4.90лв. VAT Incl. 4.65лв. VAT Incl. 4.41лв. VAT Incl. 4.16лв. VAT Incl. 3.92лв. VAT Incl. Panel Mount Switch, rotary, ф22mm, 10A/240VAC, 2-position, DPST Push button switch LAY5-EG25, rotary with switch, with rated voltage 240 VAC and contact system SPDT- NC+(NO). Panel Mount Switch, rotary, ф22mm, 10A/240VAC, 2-position, SPST Rotary button switch LAY5-EG21, with rated voltage 240 VAC and contact system SPST NO. List Price 6.90лв. VAT Incl. 6.56лв. VAT Incl. 6.21лв. VAT Incl. Panel Mount Switch, rotary, ф22mm, 10A/240VAC, 3-position, SPST Button switch LAY5-EG33 rotary with key, with rated voltage 240 VAC and contact system SPST NO+NO. 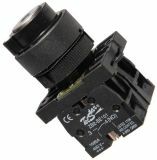 Panel Mount Switch, button, ф22mm, 10A/240VAC, 3-position, SPST Push button switch LAY5-BJ53 black, with rated voltage 240 VAC / 10 A and contact system SPST (NO)+(NO). Panel Mount Switch, rotary, ф22mm, 10A/240VAC, 3-position, SPST Push button switch LAY5-ED33 black, with rated voltage 240 VAC and contact system SPST NО+NO. Panel Mount Switch, button, ф22mm, 10A/240VAC, 3-position, SPST Push button switch LAY5-BJ35 black, with rated voltage 240 VAC / 10 A and contact system SPST NO+NC. List Price 4.30лв. VAT Incl. 4.08лв. VAT Incl. 3.87лв. VAT Incl. 3.65лв. VAT Incl. 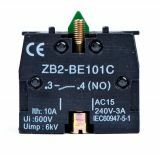 Panel Mount Switch, button, ф22mm, 10A/240VAC, 2-position, SPST Push button switch LAY5-BJ45 black, with rated voltage 240 VAC / 10 A and contact system SPST NO+NC. Panel Mount Switch, rotary, ф22mm, 10A/240VAC, 2-position, DPST Push button switch LAY5-ED25 black, with rated voltage 240 VAC and contact system DPST NО+NC. List Price 3.99лв. VAT Incl. 3.79лв. VAT Incl. 3.59лв. VAT Incl. 3.39лв. VAT Incl. 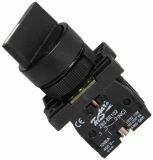 Panel Mount Switch, button, ф22mm, 10A/240VAC, 2-position, SPST Rotary button switch LAY5-EW3472 black, with rated voltage 240 VAC / 10 A and contact system SPST NO+NC. List Price 4.50лв. VAT Incl. 4.28лв. VAT Incl. 4.05лв. VAT Incl. 3.82лв. VAT Incl.